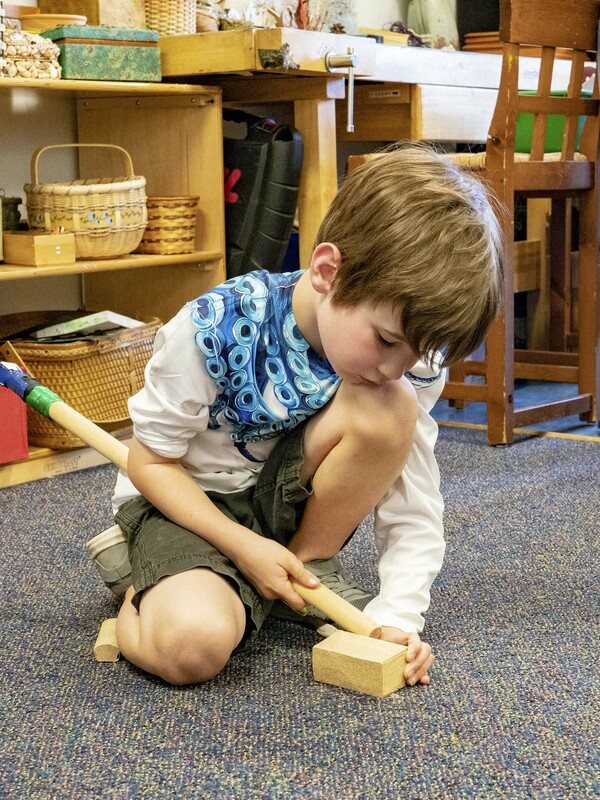 Parents in Ann Arbor, all of Washtenaw County, and surrounding communities look to Daycroft School when they want to provide a highly personalized educational experience for their preschool-age children. Daycroft preschool classrooms provide a prepared environment in Practical Life, Sensorial, Math, Language, Science, Geography and Culture areas. The direct and indirect aims of these curriculum areas are to develop order, concentration, coordination and independence in the children. Grace and courtesy are also integral parts of the preschool classrooms and are modeled consistently. Daycroft’s preschool curriculum emphasizes practical life, sensory education, language arts, mathematics, and creative play. Your child receives individualized attention from two Montessori-certified teachers in each Daycroft preschool classroom. With guidance from our teachers, your child makes choices, develops skills, and discovers the joy of learning. Daycroft’s flexible scheduling lets you mix full-day and half-day sessions in practically any way you need. Before-school and after-school care is available as well as enrichment programs.